A selection of access control readers from HID’s iCLASS® contactless, multi-technology line have been certified by the GSA for FIPS 201 use. Included on the Approved Products List are the R10, R30, R40, RK40 and RP40 models as well as the OEM 150 module. IRVINE, CA., November 28, 2006– HID Global, a leading manufacturer in the access control industry, today announced that its iCLASS® R10, R30, R40, RK40 and RP40 model access control readers have been approved by U.S. General Services Administration (GSA) as Transparent Contactless Readers for their FIPS 201 Approved Products List. The certifications now enable HID Global to provide government agencies and other organizations with a trusted source for FIPS 201 certified contactless smart card readers. In addition to these readers, HID Global has also received approval on the iCLASS OEM 150 module to assist manufacturers in embedding HID’s FIPS 201 approved products into their own. The iCLASS multi-technology line allows an agency’s access control system to function properly during the transition from current card technology to the new FIPS 201 card requirements. 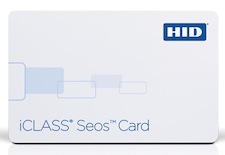 iCLASS readers simplify the conversion to the new standard because they are capable of simultaneously reading legacy cards and the new FIPS 201 cards. The readers are built on an extremely flexible platform that allows for numerous output configurations to address compatibility challenges with all access control systems and to permit the ability to be upgraded when needed. “These certifications represent the first of many HID Global products being submitted for FIPS 201 certification. The certifications indicate our dedication and ability to support valued customers in the federal government with innovative access control products to meet their current and future needs,” said Eric Widlitz, senior director, OEM and Government Channels, HID Global. HID Global continues to work with government and industry leaders to address physical access control needs with rigorous standards of protection, securing many of the country’s vital institutions. An industry leader in access control cards and readers, the newly certified FIPS 201 iCLASS access control readers are targeted to federal, municipal, state and local governments which must be prepared to respond to the everchanging regulatory landscape and technological advancements. Check with HID for the latest part numbers and configuration options for FIPS 201 certified iCLASS readers.